Golley Slater has announced two new staff additions to its Leeds PR office. Christian Dente joins the agency's senior team from Aberfield Communications, while Emily Hoyland is converting her student internship at the agency into a graduate role. New senior account manager Dente brings experience of working with clients including Diageo, Pringles, Heinz, Visit Leeds and Leeds Bid. Hoyland, a journalism graduate from Leeds Beckett University, joins the Golley team after impressing the agency during her internship taken during her degree. Eileen Stretton, MD of Golley Slater, said: “I’m delighted to be able to welcome new talent to an already successful team. Christian’s passion for working with great consumer clients bolsters our already strong offering to brands looking for creative approaches to both national and more local briefs. 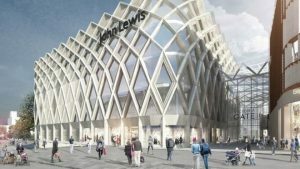 Golley’s Northern PR team has won a stream of new business wins in the last 18 months including beating off six agencies to launch the new John Lewis flagship branch in Leeds coming this October, as well as working with New World Trading Company’s Botanist brand and French start-up brand, Dayuse.com.